Koch Media - a publisher and distributor owned by THQ Nordic - has announced that it has acquired the arcade shooter series TimeSplitters, suggesting that a new game could well be on the way in the process. 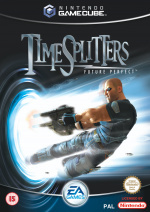 Released across the early 2000s, TimeSplitters is a series of three shooters that feature a cartoon-like aesthetic, pop culture references, and time travel mechanics. A much-loved series, these three games were created by several ex-Rare employees who worked on titles such as GoldenEye 007 on the Nintendo 64, but the franchise hasn't been revisited since 2005. 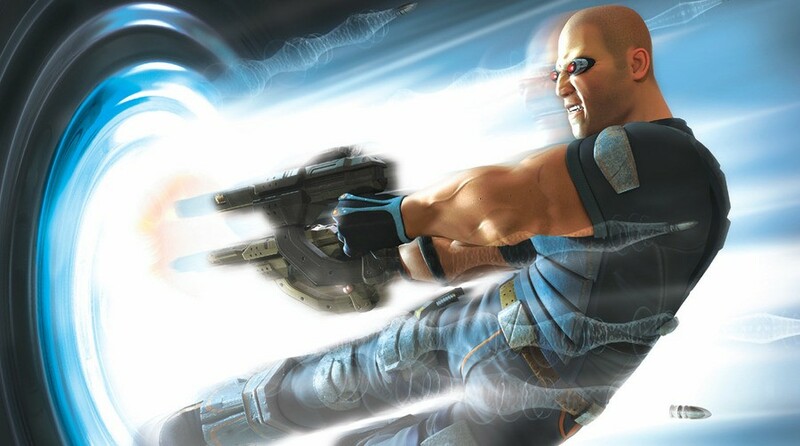 This acquisition means that Koch Media now has the potential to release new content under the TimeSplitters name, or even rerelease older material, all of which would happen under its Deep Silver publishing label. Whether or not any new games are in the works has yet to be officially confirmed, but this statement from Klemens Kundratitz, CEO at Koch Media, certainly suggests that ideas are already forming. In addition to TimeSplitters, Koch Media has also acquired the IP and rights to science fiction action-adventure game Second Sight, a game in which players take control of an American parapsychology researcher. This franchise will also now be handled by the Deep Silver label. The press release statement ends by saying the following: "full details of future Timesplitters and Second Sight products will be revealed in due course." If that doesn't essentially confirm new games for both series, we don't know what will! Feel free to share your thoughts on this news in the comments below. Awesome, a great blast from the past! Second Sight?! Yesssss, I love that game! Fabulous news! Now knock out a Remastered original trilogy while you work on TimeSplitters 4. Crikey! Hope we see the trilogy in HD at some point. Welcome back Timesplitters. Oh my gosh! Finally, after all these years, there's a realistic chance of a new TimeSplitters game! ..fantastic news! Time Splitters 2 was my favorite multiplayer shooter from my childhood!!! This is the best news!! A HD remake for the timesplitters trilogy would be awesome! Count me in! This is FANTASTIC news! Thank you THQ Nordic for freeing Timesplitters from Crytek, who did nothing with the IP. I don't trust they're capable of a new game up to the same standard, but I'll take an HD trilogy for Switchl. I'll take a rerelease now, sequel later. Are they going to get David Doak and Graeme Norgate back together for a new game? I mean, Norgate's supposedly still working at Deep Silver Dambuster in Nottingham, which just finished the last homefront a few years ago. And Mr. Doak's around and presumably available after closing his mobile game studio in 2013. Just a rerelease, or HD upgrade, will do me plenty. Timrsplitters 1&2 would be amazing on the switch. I'd love to see an HD remaster of the originals. Timesplitters 2 on the GameCube was superb. As for a new entry yes it would be great but if it does happen then the chances of it coming to Switch are probably unlikely. Darksiders 3 was announced for every platform but Switch. Plus with the time it takes to develop a new one means it's probably going to be a next generation game. Most of the bigger games they have coming up are for PS4/One and Windows only. Just to add more negativity to my Debbie Downer comment, I can't say I'm a fan of THQ Nordic. I find their ports to be pretty rough and poorly optimised. The Darksiders games being good examples and from what I've read, Titan Quest isn't exactly a good port either. Omg make 1,2 & 3 remastered!!! Oh man, Second Sight was really good. Timesplitters may be a little less impressive with all the FPS games out there, but there's still nothing like Second Sight. I hope this kicks off a new wave of on rails light gun games on switch. I still go back to play these on Wii. Edit: Drat! I just realised this this is Time Splitters , not Time Crisis! @OorWullie I agree with all this. Amazing news, Second Sight was seriously under-rated. I can't see them acquiring these licenses if they weren't planning to make new titles or re-masters at the very least. Good to see a reputable IP getting a revival, but I can't see them doing much with it for a while, other than a remaster. My friend had Timesplitters, it was pretty fun. I could go for another one. I loved Timespltters back in the day and lost count how many hours were lost to it at university, despite the PS3 having been released. That being said, I don’t really see a need for anything past a remastered collection. THQ Nordic "we are huge fans of Nintendo, however there is no current plans to release Timespltters on Switch"
I'm still waiting for ports of Dead Island and Saints Row on Switch from THQ Nordic and Koch Media. The first Timesplitters was the most played disc on my PS2. All my friends loved it too. Just finished Battle Chasers: Nightwar and it's the same case of it being a very rough port. Very fun game, but all the stuttering, framerate issues and all the crashing AND the very long loading times kinda soured the experience for me at times. Timesplitters 2 on switch would be an instant purchase. Closest you will get to goldeneye multiplayer! Timesplitters was awesome. Two games I really want on whatever the Gamecube Virtual Console is nowadays. TS2 let you be an Accountant! Good news. TS4 has been a long time coming.. I love me some Time Splitters, but I literally yelled out loud when I read Second Sight! I absolutely love that game. It is one of my all time favorite sleeper hits! I bought the game for $10 brand new at GameStop. That's how low it went under the radar. Such a highly underrated game! One of those series I never really "got". Think it has to do with it's terrible character designs. I enjoyed playing the first level of TimeSplitters 2 though, which was basically a throwback to GoldenEye 007. Interesting... figured that series was very dead. Wouldn't mind a new game or HD remakes... the original games were held back by an era of poor "realistic" graphics... and pointer controls are the best way to play FPS. The only problem is that everything might still be graphically limited on the Switch... the day we can finally have games in 1080/60 with pointer controls (if necessary) will be a good day. And yes I agree, a remaster would be very welcome. Online Multiplayer TS2 FTW. Brilliant news! It didn't seem like Crytek were going to do anything with the Timesplitters series so I'm glad that another developer has the rights to it now. Whether they'll be able to do the series justice is a different question altogether. I'll happily take a HD re-release of the trilogy in the meantime. My kids played the H out of TimeSplitters 2. Even some HD ports on Switch with online play would delight them. Great news! please please please! I wanna shoot play virus with all the 'bots' being calamari. i spent alot of my childhood playing that game! The second one was awesome ! I wouldn't bother with the first and third, though. I'd be very pleased to see a new iteration of the franchise, but if they really want to start capitalizing on their acquisition, they could simply release a compilation of the first three games (on all platforms), and this would be one of the very few game out there I'd be willing to buy on day one (provided they price it right, of course). Definitely interested in an remastered trilogy for Switch. Great news. Hope we can get a hd remaster triology or something like that. But, for the love of God, please add gyro controls!! I'm waiting for progressive hair-pulling on "Koch Media"
Time to split! Both franchises, Timesplitters and Second Sight, are among my favourites, so my expectations are high! The only FPS I've dedicated so much "time" to. I loved the wacky characters and game modes. The maps were so much fun and diverse. The maps ranged from war settings to haunted mansions to virtual reality (what the early 2000s viewed the cyber net to look like). And the story was fun and constantly kept me wondering what time era Cortez will explore next. I'm looking very forward to this! This is wonderful news indeed. 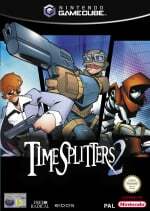 I still have all the TimeSplitters games that came out on the GameCube, as well as Second Sight, so a new game in these series would be more than welcome, although I most certainly also agree with all the comments about the possibility of first getting HD remakes of the original games. Me and my brother loved this game! I remember playing Timesplitter 2 on the PS2.... I think. So many funny, quirky, and unique characters. Would be awesome to see them have multi-player online and local, being able to play infected, team death match, and all the different modes they had. The maps were also very diverse and interesting settings. They even have a mode where you fight off waves of zombie monkeys, and.... Dead cows?... Anyways this helped us practice before Call of Duty made their own zombie mode. I would buy the sequel or even the HD remake in a heartbeat. I wish we still had our PS2, this game was always fun to play when we had friends and family over. I'm just going to leave these here, for people that don't understand why we really do NEED another TimeSplitters game, and why Second Sight is a true forgotten gem. But first, a heads-up to the more tender souls on here: quite a few f-bombs and other expletives occur in these videos, so don't say I didn't warn you, but they're good nonetheless, and even though they're brutally honest in their criticism, they certainly do get the points across in favor of these games. I would buy an HD remake of Timesplitters 2 immediately upon launch. Easily one of my favorite games in the PS2/Gamecube era of gaming. The single player was excellent, with cool character designs, unique levels from different time periods, and spot-on controls. At the time it had the best multiplayer modes too. Zones, Assault, and the Monkey one were a blast, but I the the fire and shrinking character modes were my group's favorite modes. We also used the firewire to connect multiple PS2s together to play on separate TVs. It was awesome and I think the cosmetic style could easily be updated. I forgot the fact that there were over 100 characters to choose from in Multiplayer. @E_maniac the Switch wouldn't be any use for pointer controls. Wii U yes, but Switch is too laggy. ... Don't fill it with IAPs. Woohoo! This is fantastic news! I'd love to see what a modern installment could do. One of the all time great Co-op game series! Companies acquire IPs like empty shells but not the talents who made them. Follow the developers names, not the IPs. I feel like THQ Nordic is one step away from becoming the new THQ—extinct. @Moon Deep Silver owns Volition, who made Saints Row and Red Faction. I think they could potentially make a good Timesplitters game. I swear to gock, if this doesn't make it's way to switch. Oh man I hope they do revive the TimeSplitters series! TimeSplitter 2’s co-op was the best on my GameCube back in the day. Thats pretty cool. Something they could do is a HD Collection of the previous 3 games, maybe add online mutiplayer to them. Think fans would really appreciate that, even if modern shooter gamers are not or just a little curious. Cool, an HD remaster trilogy would be a good start! What's going to happen with Timesplitters Rewind? My birthday was on the 10th but better late than never. I was the only person who bought Timesplitters 2 and Future Perfect on Gamecube. If anyone from THQ is listening, please find who has the rights to BattleTanx. EAT MY LASER! EAT IT!! !